In tonight’s episode, Sheldon is angry. Or maybe it is just me. Some European researchers appeared to beat Sheldon to the discovery of magnetic monopoles. In real life. And they are not even particle physicists. Now Sheldon could be upset, but he can’t cry foul if he were scooped by a team that “got there first” with a technique that was better, or at least faster. There is only one problem. At the end of last season, Sheldon led the gang on a months-long expedition to the Arctic to find the magnetic monopoles predicted by string theory. The team returned in the season premiere, after a long ordeal, but like all such experiments before them, without catching any magnetic monopoles. Then things took a strange turn for all of us. In between the season premier’s taping date (August 11, 2009) and its air date (September 21, 2009) an article appeared on September 3 in the prestigious journal Science claiming discovery of magnetic monopoles. The equally prestigious journal Nature immediately ran a news summary, “Overwhelming evidence for monopoles: Multiple experiments reveal materials with single points of north and south“. People have been looking for monopoles in cosmic rays and particle accelerators — even Moon rocks,” says Jonathan Morris, a researcher at the Helmholtz Centre for Materials and Energy in Berlin. Instead, these researchers claimed, they found monopoles in small magnetic crystals “the size of an ear plug”. Boy, Sheldon and everyone else searching for monopoles in cosmic rays and at accelerators must have been pretty stupid to be looking in all those wrong places. But here’s the “only one problem”. For every North magnetic pole the researchers created in their small crystal samples, another magnetic pole, the South pole could always be found. As Sheldon describes to Ira Flatow on National Public Radio’s Science Friday, “mono-” means one in Greek (“di-” being two.) These samples always had two. Sure, to have called them “monopoles” is only off by one, so maybe the editors of Nature will claim they were close enough. But one versus two makes all the difference, between revolutionary “monopoles” and mundane “dipoles”. They experiment reported simply did not discover magnetic monopoles. 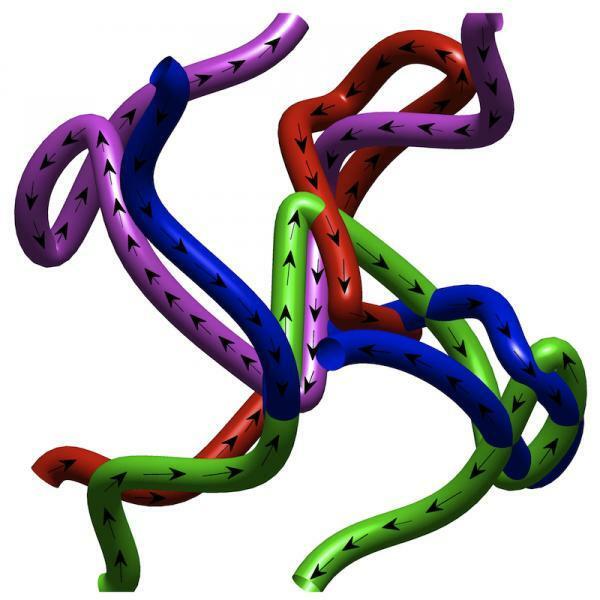 Long tubes of magnetic field in spin ices produce effective monopoles at both ends. The two monopoles (North and South) are really a dipole. The experiment reported in Science was a tour de force. The experimenters did a beautiful job of separating the “North” and “South” poles by an enormous distance (nanometers, or billionths of a meter, which only a physicist could call “enormous”) in the materials, called spin ices. So-called because the arrangments of spins is similar to that of hydrogen atoms in frozen water. The experimenters created long tubes of magnetic fields, like spaghetti, whose ends behaved just like magnetic monopoles. However, spaghetti has two ends. They had created two objects like monopoles with opposite charge….in other words, a dipole. Now each of these quasi-monopoles is still interesting. It creates an anomaly in the crystal called a singularity. The researchers measured and quantified much about the behavior of these singularities by scattering neutrons off of their samples. Condensed matter theorists had developed interesting models about how such singularities would behave, and this experiment provides much needed data on the topic. My only beef, and probably Sheldon’s too, is that overselling results by the media has consequences. The public naturally comes away thinking a discovery of a completely different magnitude has been made. 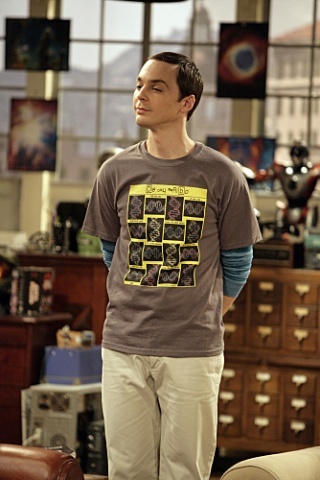 What happens if one day Sheldon or someone else discovers a real magnetic monopole? Physicists would have cried wolf too many times. Thankfully there are exceptions. Sometimes after an interview reporters come back to me with their near-final draft and ask for comments. Those reporters get it right. I heard from someone that went to journalism school that they discourage reporters from going back to the interviewees for a final check, to promote impartiality. But what’s the point of of impartiality on a news item that is not even correct? So perhaps the same happened to the authors here. I checked the original article and right in the first paragraph they are careful to state that they have created objects “resembling” monopoles. They say that they “look like” magnetic monopoles. While they never explicitly stated that these were not real monopoles, I think the researchers have done an honest job in the original article. It is in the news summaries, such as the one linked above, and its echoes throughout the news world, where things got carried away. Perhaps after listening to Sheldon’s interview on NPR’s Science Friday, the journalists who wrote the news summaries confusing this experimental observation with true monopoles will post a clarification. Sheldon is waiting. Will you keep Sheldon waiting? But the story really started much earlier than tonight’s opening scene in the desert….it begins November 13, 1833. Late that night, insomniac Americans were greeted with a sky filled with streaks of light. This was not just a meteor shower, but a rare event with so many meteors that it is called a “meteor storm”, so named whenever the number of meteors exceeds 1000 per hour. That night in 1833 the number of meteors exceeded 1000 per minute! Some of those wandering stars seemed as large as the full moon, or nearly so, and in some cases they appeared to dash at a rapid rate across the general course of the main body of meteors, leaving in their track a bluish light, which gathered into a thin cloud not unlike a puff of smoke from a tobacco-pipe. Some of the meteors were so bright that they were visible for some time after day had fairly dawned. Imagine large snowflakes drifting over your head, so near you that you can distinguish them, one from the other, and yet so thick in the air as to almost obscure the sky; then imagine each snowflake to be a meteor, leaving behind it a tail like a little comet; these meteors of all sizes, from that of a drop of water to that of a great star, having the size of the full moon in appearance: and you may then have some faint idea of this wonderful scene. Similar stories were reported from across the country. There was no Moon that night, yet the sky was bright enough to read by. Theories proliferated quickly. But it was an observation that explained the phenomenon, 33 years later. In early 1866, the U.S. Civil War had just ended a few months earlier, allowing the young naval paymaster Horace Tuttle to take up a post at the U.S. Naval Observatory. There he returned quietly to his lifelong pursuit of comet hunting. He soon found a new one that passed directly through the Earth’s orbit, precisely where the Earth would be in mid-November. (Since this is an American blog, I’ve conveniently ignored the fact that Ernst Tempel, a European comet-hunter, already found it two weeks earlier.) Tuttle’s measurements showed that every 33 years, this comet, Comet 5P/Tempel-Tuttle, leaves its cold home in the asteroid belt beyond Mars, where it spends most of its time. It speeds up, passes close to the Sun and returns. But comets are basically dirty snowballs. When Comet 5p/Tempel-Tuttle approaches the Sun, the heat of the Sun frees material from its icy core, leaving behind a debris field in space. The meteoroids are mostly tiny, like specks of sand. Only when the enter the Earth’s atmosphere, at speeds around 40 miles per second into the air do they glow and burn up. The bright light, the “meteor”, is due to the hot air and hot silicon and other metals in the meteoroid itself glowing from the heat. Note the terms here: The speck of sand is a “meteoroid”—it does not become a “meteor” until it is hot and glowing in the Earth’s atmosphere. If a small rock-like object reaches the ground, that is then called a “meteorite”. And despite what 5-year-olds might tell you, they are definitely not “falling stars”. I would rather believe that two Yankee farmers lied than to believe that rocks fall from the sky. Yet the meteors of the 1833 storm came from a spot on the sky that moved with the stars. In fact, from the direction of the constellation Leo, hence the name “Leonids”. Since their point of origin did not stay fixed in the atmosphere, but rotated with the Earth, that showed the meteors to be initiated by objects from space. Don’t feel bad for Thomas Jefferson though, it was just one of many things he had wrong. Astronomers predict that this year’s Leonids will put on an excellent show tonight. Try to get out of the city and see them. Camp overnight if you can. Just watch out! There will be science teachers out there. Every physics major should own a copy. I keep a set at my office and home so as not to be at a loss. Being part of a physics faculty, when I foolishly don’t walk fast enough down the hallway I am sometimes called upon to help decide what textbook we should use in our first-year courses. Writing a general physics textbook is heroic undertaking and I greatly admire the work of those authors. Yet, the texts are remarkably (probably necessarily) similar in organization and content. Even if you look at a first-year physics textbook from 50 years ago, you will not find it much different than one we use today. (Except most modern books add distracting colors and take about twice as many pages to get it said. If you are a physics major, you can do yourself a big favor by finding a used copy of “University Physics” by Sears and Zemansky dating from the 1950’s.) By contrast, Feynman’s lectures are unique. His take on everything is his own. Even after all these years, his lectures are astounding in their freshness. His lectures do more than explain the physics (which they do beautifully), but Feynman uses them to teach how to approach physics as a physicist. He often leads the reader to seeing the essential question about a topic. They are just inspirational. While intended for first-year undergraduate students, The Feynman Lectures come into their own for graduate students in physics. Many physics graduate programs have a big exam for graduate students at the end of their first year. It is administered over several days and often even has an oral-exam component in front of a panel of professors. The students must pass it to stay and enter the university’s Ph.D. program. For the students spending a summer studying for this exam, The Feynman Lectures are rarely out of arm’s reach. (Students understandably dread this exam, but when it is all over, they look back fondly and say it was a wonderful way to spend a summer.) I went through the same ritual and to this day, whenever I am stuck understanding a concept while teaching a first-year class, I turn to Feynman and invariably find the answer in his lectures. Much has been written of Feynman, especially by himself. Richard Feynman was a hero of many young students interested in physics growing up. Not because he won a Nobel Prize–many physicists have done this–but for his stories of a life in physics. A classic that I first encountered and devoured while in high school is his hilarious and slightly subversive memoir Surely You’re Joking, Mr. Feynman! If you were to read just one thing about Feynman, or any scientist for that matter, I recommend that book. If you hunt around, you will find many more hours of audio tapes of the master himself recounting these stories in preparation for the book. It’s a wonder Sheldon ever came out of his bedroom. American readers of this blog can be forgiven for considering Benjamin Franklin (1706-1790) primarily as a statesman. Admittedly he did some minor things along this line: helping draft the United States’ Declaration of Independence and serving as the ambassador to France where he secured support for the American War of Independence. Franklin was even the country’s Postmaster General at a time when the postal service was important, not delivering mostly junk-mail. But the show’s writers know what Sheldon knows, that Benjamin Franklin was a major physicist. Franklin’s interest in electricity began with electrocuting turkeys for his friends’ amusement, but after once shocking himself unconscious he concentrated on more scientific endeavors. In tonight’s episode, Sheldon enumerated three of Franklin’s inventions: Using the principles of thermodynamics, Franklin invented the “Franklin stove”, which transfers more warm air to a room than an ordinary fireplace, while still satisfying the important detail that the poisonous exhaust exit the chimney. Using the principles of optics, Franklin made “bifocal lenses”, which contain glass with its upper and lower parts ground with different curvatures so that they bend light at steeper or narrower angles. Such different focusing powers allow the wearer of spectacles to focus on either near or far work without changing glasses–while efficiently allowing us the rest of us to identify people over the age of 43. Franklin’s “flexible urinary catheter” is an invention best left to the websites that focus on such things specifically. Electrocuted turkeys notwithstanding, Franklin’s most significant scientific work was in the field of electricity. In Franklin’s time, two distinct forms of electricity were known and identified as two separate fluids: vitreous and resinous, named after the material it came from. Vitreous electricity can be produced by rubbing glass with silk (“vitreum” being Latin for “glass”) and resinous electricity charge can be produced by amber resin with fur (“resin” being English for “resin”). Franklin noticed a conservation law between the two types of fluids whenever they were generated. He speculated that rather than creating two separate electrical fluids with rubbing, a single electrical fluid was in all material and merely redistributed by rubbing. He speculated that vitreous electricity was an excess of this single fluid and resinous its deficit. A one-fluid theory is correct for nearly all electricity we encounter. The so-called resinous electrical fluid turned out to be the flow electrons while the so-called vitreous fluid is just the remainder of the atoms left behind. For example, in the copper wires in your house, the fluid that flows is really electrons. But there was one “gotcha”. Franklin had a 50/50 chance to guess which fluid was the excess and which the deficit—and he got it wrong. Ever since, the sign physicists apply to the charge of an electron is negative. In a circuit, the flow of the electrons is exactly opposite what is labeled the electric current. That tricky minus sign survives to this day, allowing me and my colleagues to confuse a new set of physics students every year. Ultimately, the two-fluid model turned out not to be wrong. Modern experiments, such as those of Barry Kripke, Sheldon’s nemesis, produce materials called plasmas. Plasmas are created when you heat a material so high that the negative electrons break free of the positively charged atomic nucleus in each atom and even the atomic nuclei break free of each other. In a plasma, both the negatively charged electrons and the positively charged nuclei in a plasma move freely. Plasma physics experiments like Kripke’s manipulate both types of electrical fluids. At the time, Franklin described his reaction to his discoveries as “Chagrin’d a little that we have hitherto been able to discover nothing in this way of use to mankind”. Given how important electricity is to modern life, his words remind us that the fruits of fundamental research to humanity are not always immediately apparent. Wolowitz wraps up their Benjamin Franklin discussion with “To learn more about our founding fathers visit your local public library.” That was highly appropriate since Franklin founded the first lending library in America, the predecessor to our free public libraries. Franklin’s electrical work is honored to this day by the naming of the official unit of charge (in the centimeters-grams-seconds system) as the “franklin” (Fr). To learn more about electricity, visit your local public library. An unofficial blog of the TV sit-com "The Big Bang Theory"